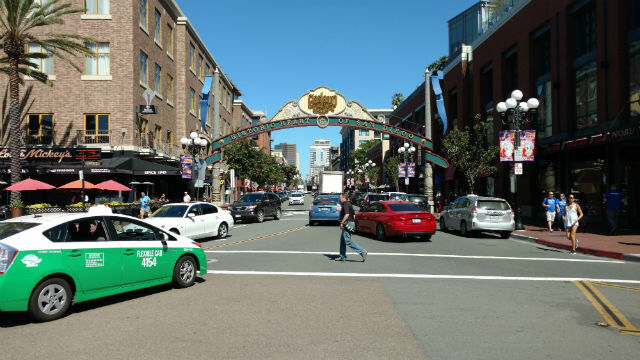 A 43-year-old man who attempted to carjack a vehicle from a valet at the Westin San Diego Gaslamp Quarter was arrested, police said Friday. A 31-year-old woman drove her 2018 Toyota to the valet about 8:50 p.m. Thursday and gave him the keys when a man ran up to the valet and demanded them, according to Officer Robert Heims of the San Diego Police Department. The suspect began hitting the valet trying to get the keys, but the valet was able to run off and get away with the keys, Heims said. The suspect then demanded the keys from the woman as several people yelled at the suspect to leave her alone, Heims said. The suspect, identified as Alejandro Nava left the scene and was found a short time later by officers and arrested, Heims said.